Chennai, September 28, 2018: Mahindra Powerol, a business unit of the USD 20.7 billion Mahindra Group, today announced its debut into the Marine Engines segment with its all new Seahawk Series. These engines, ranging from 24hp to 300hp, include 11 variants of Marine Engines and Marine Generators. The Seahawk range of engines are designed with best in class fuel efficiency, superior technology and a robust tracking system for safety and service alerts.These engines are easily serviceable at the network of exclusive 3S - Sales, Service & Spares Marine Dealers set up in the coastal areas. These dealers have trained service engineers ensuring the minimum resolution time for any service need. Customers can also avail a cost effective, comprehensive, annual maintenance scheme named Seahawk Care as an option. 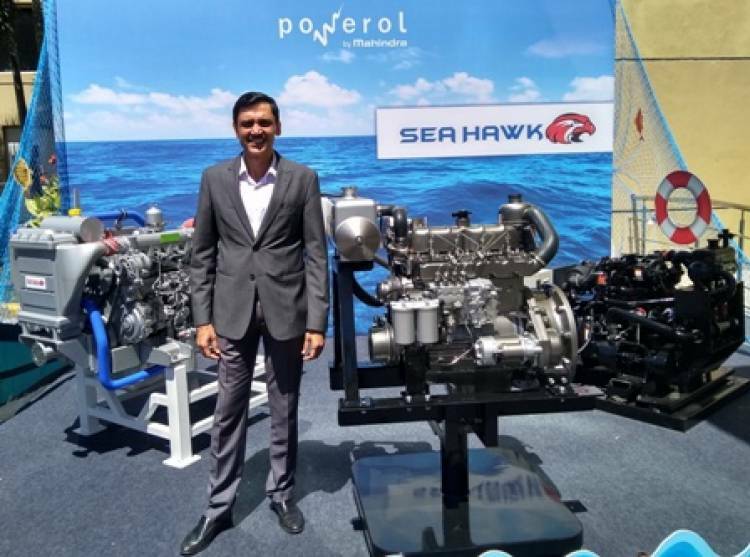 Speaking at the launch, Sachin Nijhawan, Business Head, Powerol Business, Mahindra & Mahindra Ltd said, “Today’s launch of Powerol’s engines in the marine category present us with an exciting new business opportunity and consumer group. We now have engines ranging from 15hp to 400hp to straddle a wide segment of business needs. At Mahindra, it is our constant endeavour to offer high quality, world class products to our customersand today’s launch bears testimony to this philosophy”. Mahindra Powerol Marine & Industrial Engines, designed in the company’s Chennai R&D facility to suit the application requirement, and manufactured at state of the art facilitiesin Pune & Nagpur, are available in the range of 15hp-400hp. These engines cater to 25 types ofapplications including concrete mixers, concrete pumps, compactors, loaders, etc. The Powerol Industrial Engine group is ready with its BS-IV CEV range of engines as well. These engines have been designed & tested in the factory andfield for best in class performance and fuel efficiency, which is the result ofthe optimum design of after-treatment components. With this BS-IV CEV readiness and focus on industrial engines, Mahindra Powerol is planning to be the front runner as an engine partner for the construction equipment market in India.